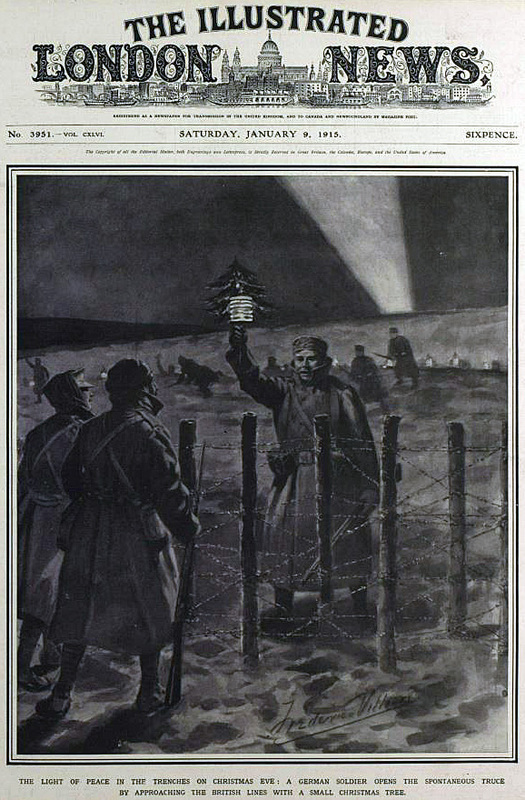 In early January 1915 and with conflict raging in Europe, The Illustrated London News carried the following cover depicting a moving scene in which a German soldier, in a brave gesture of peace, approaches British troops with a little, lit tree on Christmas Eve. 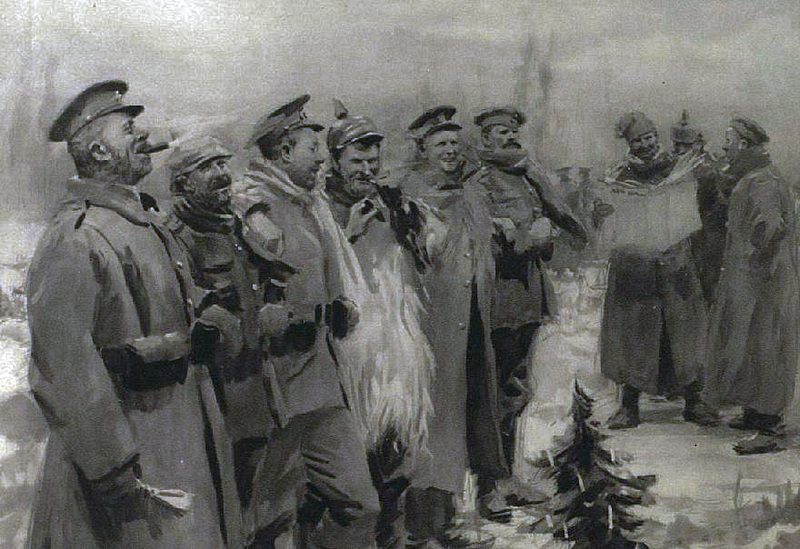 “On some sections of the battle-front the Germans decorated their trenches with Christmas-trees and paper lanterns, and invited our troops to stop shooting and come over to smoke and have a palaver. With one accord a truce for the night was arranged, and the compliments of the season were passed with much enthusiasm between friend and foe. Although it may sound tenuous of me to say, these are stories and images which I can relate to. As a London Cabbie, I have the pleasure of meeting passengers from all over the world; people from a vast array of creeds, races and backgrounds…. and the one thing which always shines through is humanity; the ability of most people, no matter where they’re from, to display friendliness, a polite nature and a good sense of humour.